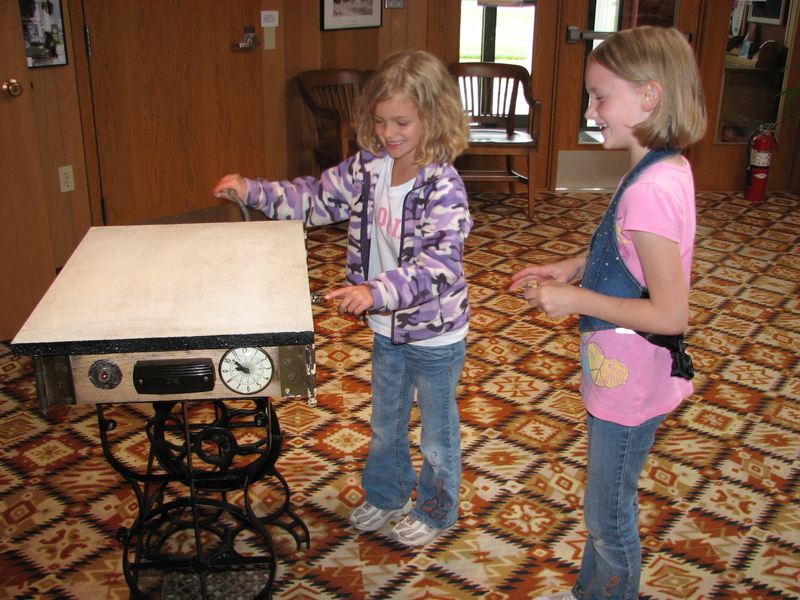 As a special treat, we have a hurdy gurdy table in the museum’s rotunda this summer. The traditional hurdy gurdy or hurdy-gurdy (also known as a wheel fiddle) is a stringed musical instrument that produces sound by a crank-turned rosined wheel rubbing against the strings. The wheel functions much like a violin bow, and single notes played on the instrument sound similar to a violin. Melodies are played on a keyboard that presses tangents (small wedges, usually made of wood) against one or more of the strings to change their pitch. Ours is a little different. 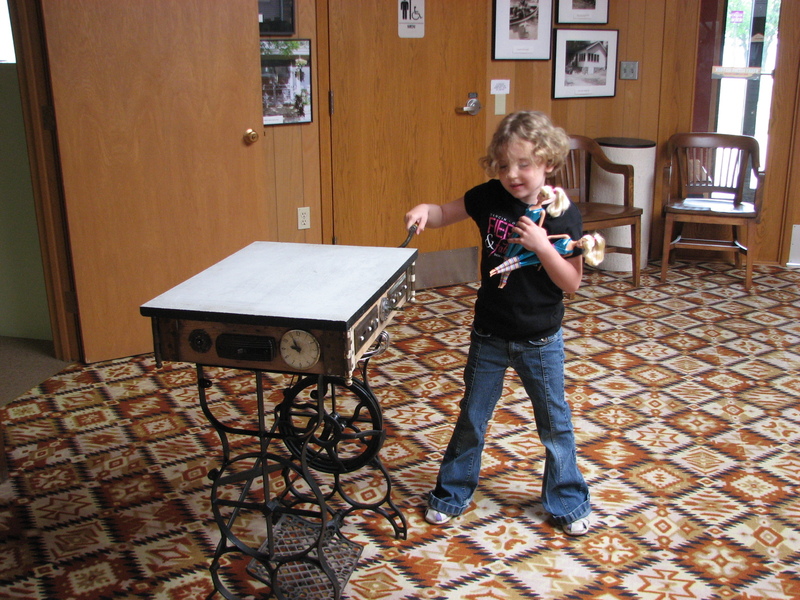 Local artist David Lent has created a whimsical table with a crank on the side. When you turn the crank all sorts of things happen – music plays, a fan spins, a sewing machine treadle moves, lights blink, reels spin and the clock rolls back. Visitors are encouraged to turn the crank on this creative work of art. Young and young at heart have been enjoying the music, lights and motion. This entry was posted in Museum updates, Visitors and tagged david lent, found art, hurdy gurdy, Pope County Minnesota, Pope County Museum. Bookmark the permalink.